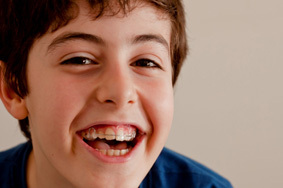 The Orthodontic Clinic can provide NHS orthodontics to eligible children under 18 years of age. Treatment for children may be available for moderate to severe problems where there is a dental health need for treatment. NHS treatment is intended to provide orthodontics to children if their need is considered severe enough under strict government guidelines. This applies to every orthodontic practice throughout the UK. However, children that present with mild irregularities of the teeth may not necessarily qualify for NHS orthodontic treatment so may choose private care . NHS treatment is provided to secure "dental health" - full cosmetic excellence may not be achieved. At the Orthodontic Clinic, NHS consultations are carried out by our Specialist Orthodontists - Dr Lisa Currie (Clinical Director/ Consultant Orthodontist) and Dr Daria Roldolfino (Specialist Orthodontist). The initial consultations may include photographs and x-rays allowing our orthodontists to examine patients and make decisions regarding treatment plans and eligibility for NHS treatment. We endeavour to see all new patients referred to us as soon as possible, although NHS treatment will be subject to waiting lists. There are no waiting lists for patients requesting private treatment. Waiting times are related to demand for treatment at any time and may also be dependent on whether the referral from your dentist is one of a routine or urgent nature. Once a treatment plan has been made, appointments can be made for placement of the brace and subsequent adjustments. Treatment appointments may be with either our Specialist Orthodontists or our Orthodontic Therapists (with direction/ supervision by our Specialist Orthodontists).